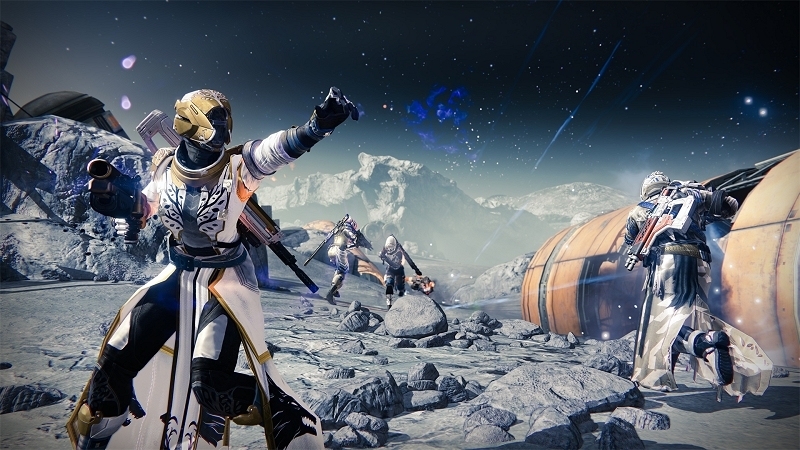 Activision is off to a solid start with Destiny. The publisher recently announced they racked up $500 million in sales to retailers and first party buyers on day one which means they’ve already recouped the money they spent on the game’s development and marketing. It’s worth pointing out that sales to retailers and sales to customers are two totally different figures. Even still, however, it’s an impressive figure that indicates sales of about 10 million units to stores according to Wedbush Securities’ Michael Pachter. In a statement on the matter, Activision said the sales figures make the game the biggest new video game franchise launch in history, topping Ubisoft’s Watch Dogs this past May. Cowen & Co. analyst Doug Creutz added that it was the most pre-ordered game in history that wasn’t a sequel, eliminating titles from the Call of Duty, Grand Theft Auto and Battlefield franchises from the discussion. Creutz added that the first five days of sales for a title in this genre are crucial to its success as almost 40 percent of revenue generated in the first year come from the first five days. Activision Blizzard CEO Bobby Kotick said the industry milestone marks another blockbuster success for his company and demonstrates their unique ability to create some of the most successful entertainment franchises in the world. More than 11,000 stores around the world held midnight launches for Destiny.